Nothing beats relaxing in your garden in comfort. With such a wide variety of garden furniture available to choose from, you will need our garden furniture buying guide to help you make the right decision for your needs. Start by thinking about how you can make the most of the outdoor space you have available. Will you be mostly eating and entertaining, and therefore require a dining table and chairs, or are you more likely to relax while you read a book, therefore requiring a comfortable sun lounger. Maybe you need to create an outdoor space that is versatile enough for both uses; maybe you need to incorporate something for the kids to enjoy. From full size dining sets to small bistro sets, picnic benches to swing seats, take the time to consider what type of garden furniture you need and make a list. As with any furniture purchase, you must know what space you have available before buying anything new. 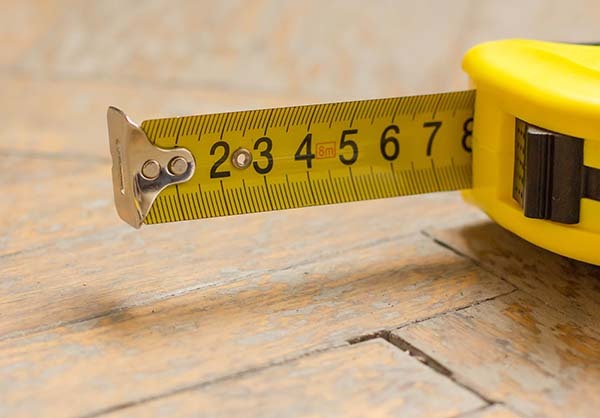 Take measurements of your outdoor space and a measuring tape with you to the store to ensure you won’t run into trouble when you get your new furniture home. Large items of garden furniture will dwarf small patios and balconies, which are more suited to lighter, folding sets. And vice versa, small items such as bistro sets can look out of place alone on a very large patio. It’s not just the size that matters but the shape too; you will want to be able to comfortably walk around your garden furniture, and depending on the type, be able to move it in and out of storage. No one wants to spend their spare time cleaning and painting when they could be enjoying the sunshine, so think about the material the furniture is made of. Is it easy to clean? Will it need painting? Aluminium framed furniture is rustproof, lightweight, easy to clean and requires no treatment or painting. As it is lightweight, we recommend storing aluminium furniture inside during the winter to prolong its life, so take this into consideration if you don’t have a garden shed and have little or no storage space. This type of furniture does usually fold flat for easy storage. Aluminium patio furniture also needs cushions for comfort. Steel or wrought iron furniture achieves a classic look with a strong and durable construction. It is heavy duty and sturdy but will need painting periodically. It can be heavy so it won’t be easily moved around the garden, which is ok as it doesn’t need to be stored inside – just don’t place it directly on the lawn as you won’t be easily able to mow under it. This kind of furniture also needs cushions for comfort. Made of woven strands of coated plastic, synthetic rattan is weather resistant, lightweight, easy to clean and requires no treatment or painting. As well as being low maintenance, its resistance to frost, water and UV will help keep it strong and prevent colour fade. Rattan furniture usually features ergonomic and comfortable designs too. Resin or plastic garden furniture is an affordable choice. It is usually lightweight, low maintenance, easy to clean and weather resistant, but some can warp if exposed to direct sunlight for long periods. Look for high back designs such as the Adirondack chair for ultimate comfort. Wooden patio furniture is an attractive choice that blends well into a garden setting, but it does require regular treatment with a preservative. Choose a weather resistant wood such as cedar, teak, redwood or cypress. Wicker is another choice that achieves a natural look that blends well into a garden, but it is very lightweight and not hardwearing. It will require annual waterproofing and storage when not in use. Make sure any cushions or other fabric-covered parts of your garden furniture are made from weather resistant materials that repel water. This will help keep them clean, mould free and in good condition. Bringing out an indoor cushion may be comfortable but it will absorb moisture and will not last outside. Fabrics designed for outdoor use are usually fade resistant, UV protected and waterproof. Look for furniture with removable cushions, as you will be able to prolong their life by taking them in at night. Storing most types of garden furniture during the autumn and winter will prolong the life of the furniture. If space is limited, look for garden furniture that folds flat or can be taken apart, or alternatively go for a type that can be left outside all year round. Garden furniture has to withstand a lot of hardship. It is also a focal point of your garden or patio and needs to look well in the long term. Invest in the best quality you can in order to benefit from more durable, comfortable and stylish garden furniture. Inspect every area for weak points, bad welds or hairline cracks. During sunny days it can become unpleasant to sit in direct sunlight, so think about purchasing a parasol. Parasols come in many different colours and sizes. Some come with a handy crank and tilt system that allows you to open the umbrella with a simple turn of your hand and then allows you angle it for the best position. Garden furniture is one thing you will benefit from seeing and touching in person before purchasing. Visit your local Topline store to experience the quality and comfort of the different items available, first hand.